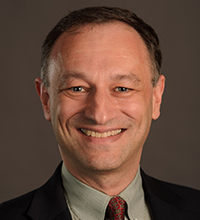 David O. Meltzer, MD, PhD, is Chief of the Section of Hospital Medicine, Director of the Center for Health and the Social Sciences (CHeSS), Chair of the Committee on Clinical and Translational Science, and Associate Professor in the Department of Medicine, Department of Economics and the Harris School of Public Policy Studies at the University of Chicago. His research explores problems in health economics and public policy with a focus on the theoretical foundations of medical cost-effectiveness analysis and the cost and quality of care, especially in teaching hospitals. He is an elected member of the American Society for Clinical Investigation, and serves the on the Secretary’s Advisory Committee for Healthy People 2020, as an Advisor to the Congressional Budget Office, and on council of the National Institute for General Medical Studies. He received a BS from Yale, and an MD and PhD in Economics from the University of Chicago. Meltzer is also a member of the Advisory Panel on Clinical Trials Subcommittee on Recruitment, Accrual, and Retention.